Imagine yourself settled into a deluxe wilderness cabin nestled in the heart of 2.3 million acre Misty fjords National Monument. 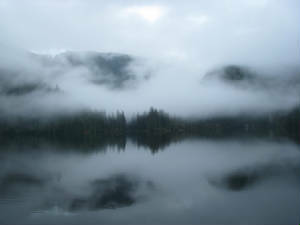 Accessible only by air, Humpback Lake is located 60 miles southwest of Ketchikan Alaska. In a glacier-carved basin, the crystal blue waters curve in a six-mile sweep lined by towering cliffs plunging deep into Humpback Lakes’ water line. 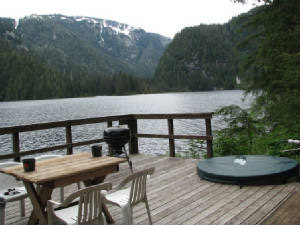 The Humpback Lake Chalet is located on the shoreline of this pristine piece of paradise. Immediately, you can inhale the fresh mountain air as the splendid scenery surrounds you. 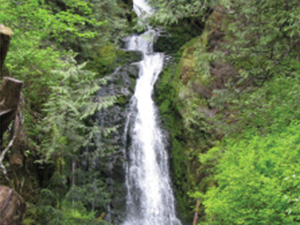 Explore Humpback Mountain, peaking at 6,000 feet and towering off the deck of the cabin. 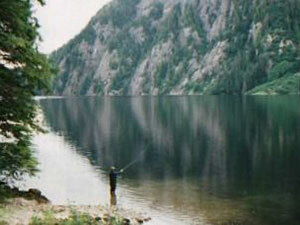 World class fishing abounds in this mountain lake and literally awaits you out the front door. Numerous hikes are accessible with a quick boat ride to many points on the lake. Evenings can be spent around the fire or playing games by lantern light. Preparing meals is possible with propane stove and warmth can be maintained with a comfortable wood stove. Many luxuries of home are found at this private sanctuary.